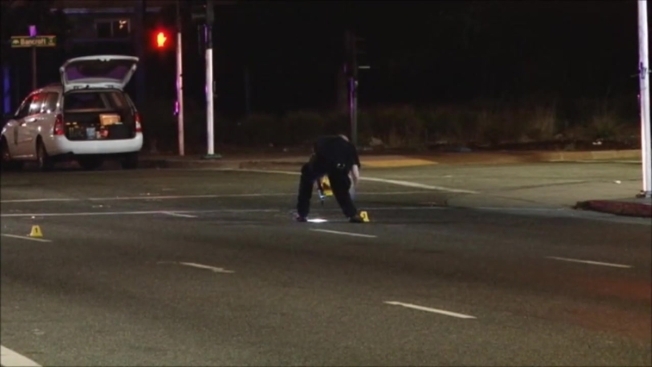 Four people were shot Thursday night in East Oakland and two of them have died, according to the Oakland Police Department. Officers responding to the 2400 block of 73rd Avenue, near Bancroft Avenue, just after 11 p.m. found four people who'd suffered gunshot wounds. The two survivors were transported to a hospital. The victims' names are being withheld until their families can be notified. Meanwhile, detectives are investigating the shooting and asking anyone with additional information to call the homicide section at (510) 238-3821.